The Harvard student section cheers on the home team in the 2018 playing of The Game. 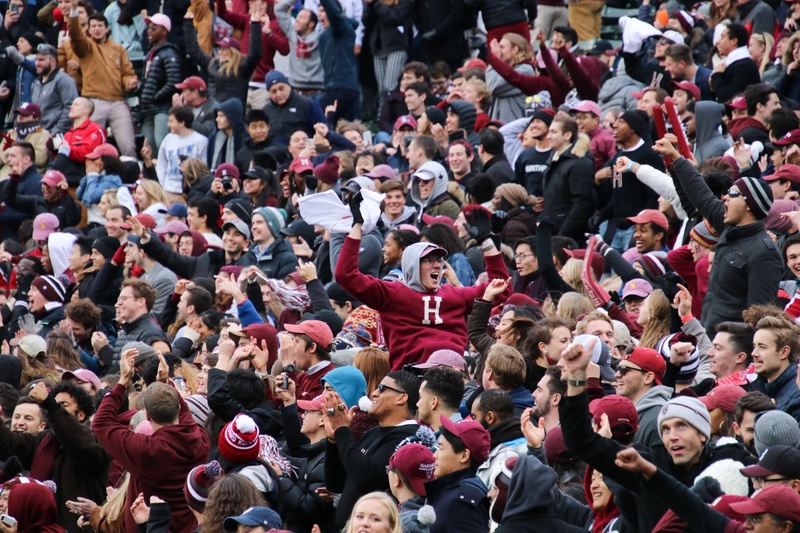 Harvard's commanding 45-27 victory over Yale in the 135th iteration of The Game delighted College students who had witnessed back-to-back losses to Harvard's New Haven rival the past two years — though the game's location at Fenway Park drew mixed responses from undergraduates. 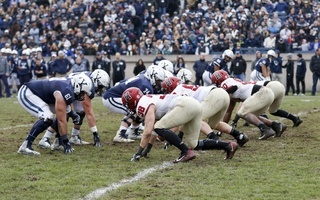 Harvard hosts The Game every other year; when played in Cambridge, the competition typically takes place in Harvard Stadium. 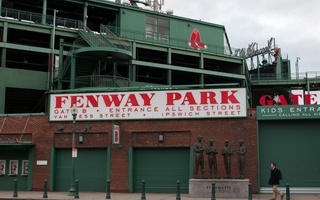 This year, though — given the Stadium is under construction — the University chose to move the match to Fenway Park, the storied home of the Boston Red Sox. Park personnel transformed the baseball diamond into a football field ahead of Saturday’s game. Some freshmen — who have never seen The Game played in the Stadium or in the Yale Bowl — said they liked the nontraditional location. “I think that it was really cool. Just kind of weird that they put a football stadium inside of a baseball stadium,” Madison L. Fabber ’22 said. Marwa Albaadani ’22 said she enjoyed the atmosphere at her first Game. “My favorite part of the event was the turnout since it’s so rare to see all your classmates and teachers in one space at such a wonderful occasion,” she said. 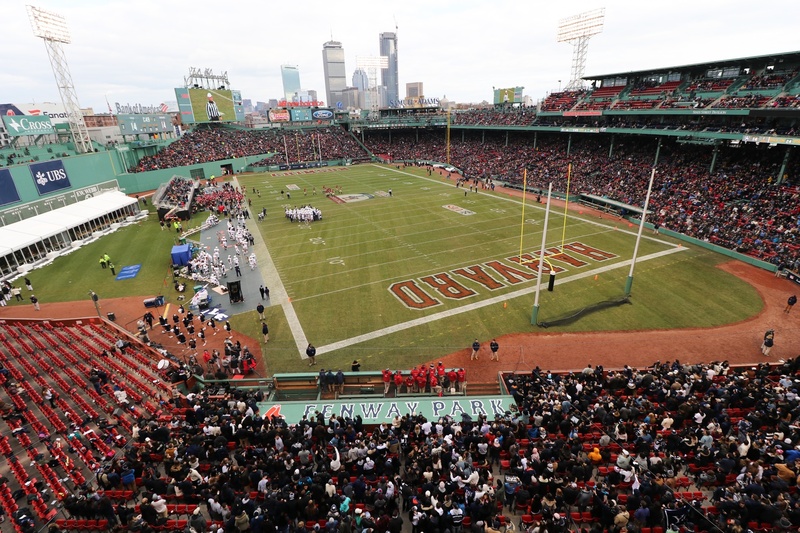 The annual Harvard-Yale football game took place at Fenway Park for the first time in school history Saturday. Some students, though, said they would have preferred the usual venue. Noah Singer ’22 said the comparatively long commute to Fenway deterred him from attending The Game. Singer said he would have been more likely to go had the match taken place on campus. “It was less convenient. I don’t think that was what made my decision, but I definitely could have seen that if it wasn’t as far away, if there was less travel involved it would have made it easier for me to go,” he said. Elizabeth A. Kinard ’22 said she chose not to attend The Game for similar reasons. “It’s just so many people were going at the same time. It’d be hard to get there,” she said. 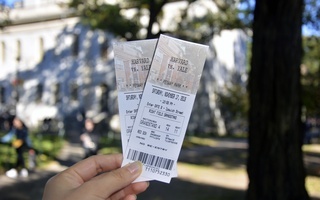 The College offered free shuttles to and from the stadium starting at 9 a.m. and ending at 6 p.m., though some students said they still opted to pay for transportation to Fenway Park. A member of the officiating crew motions before the start of a play during the 135th playing of The Game. The venue switchup did not mark the only change to The Game this year. Administrators also barred tailgates, typically a mainstay of The Game. 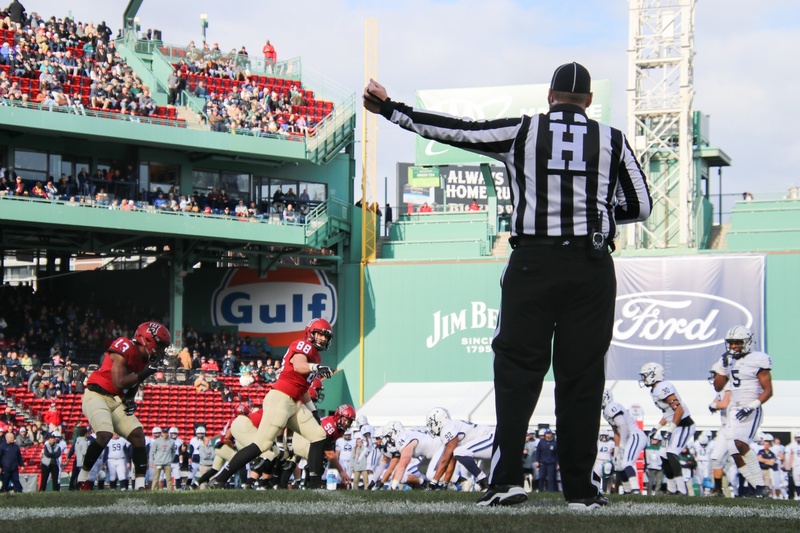 The Harvard Athletic Ticket Office website states that city regulations prohibit tailgating around Fenway. Earlier this fall, hundreds of students signed a petition calling on the University to allow tailgates in the Athletic Complex. “It was exciting to have The Game at Fenway, but it wasn’t worth not having the normal tailgates, which most students care much more about than the actual game,” Jake H. Ascher ’19 said. The University attempted to make up for the loss of the tailgates by providing students with a combined undergraduate tailgate held outside Fenway Park — and by handing out free t-shirts at the event. Harvard also hosted various “student gatherings” on campus. “As always, our goal is for students, alumni and fans to have a fun and safe experience,” Athletics Director Robert L. Scalise wrote in an emailed statement at the time students circulated the tailgate petition. Harvard will not host the Game again until 2020. Lucy M. Jackson ’22 said her first Game was “really incredible” — but, as for 2020, she said she is unsure what to expect. “It’s going to be a totally different ballpark,” she said. We remain curious as to why the Athletics Department scheduled an architectural assessment to coincide with the most important annual event that Harvard Stadium hosts.